I crave chocolate in the morning. Am I the only one? Don’t try to conquer your cravings every day. 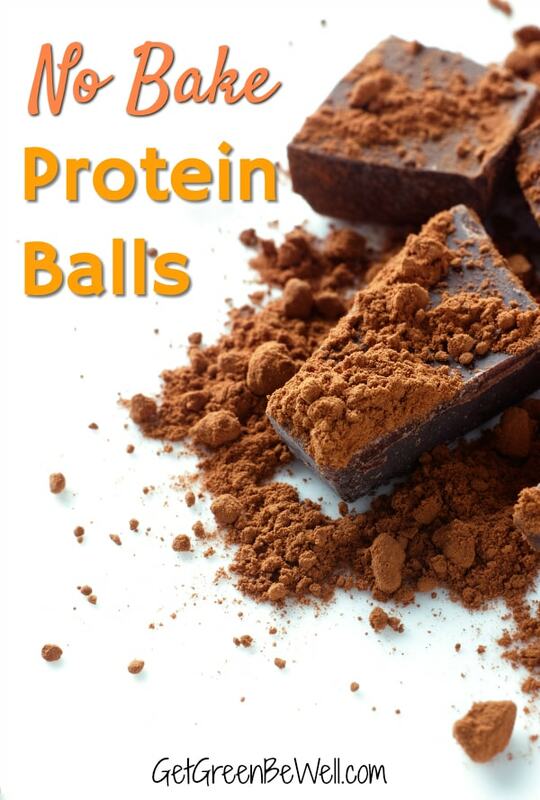 Indulge them instead with these healthy chocolate no bake protein balls with protein powder! Honestly, I usually start my day with a cookie or a piece of chocolate. I just can’t help it. As much as I try to eat more sensible foods to start my day, my desire for delicious chocolate always wins out. 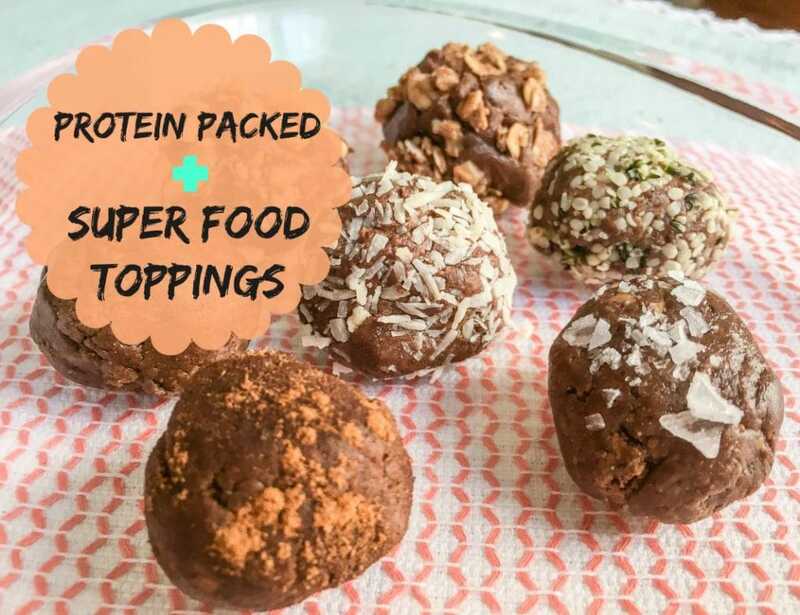 So when I thought about making no bake protein balls – especially some packed with protein powder and other good-for-you wholesome ingredients and super foods – I got really excited. Did you know that protein powder can be used in food recipes other than smoothies? You can use protein powder as a substitute for cocoa powder if you like the taste of chocolate. Of course, you can add other protein powder flavors (such as vanilla, etc.) for your specific tastes. Just imagine all of the nutrients packed in a protein powder. 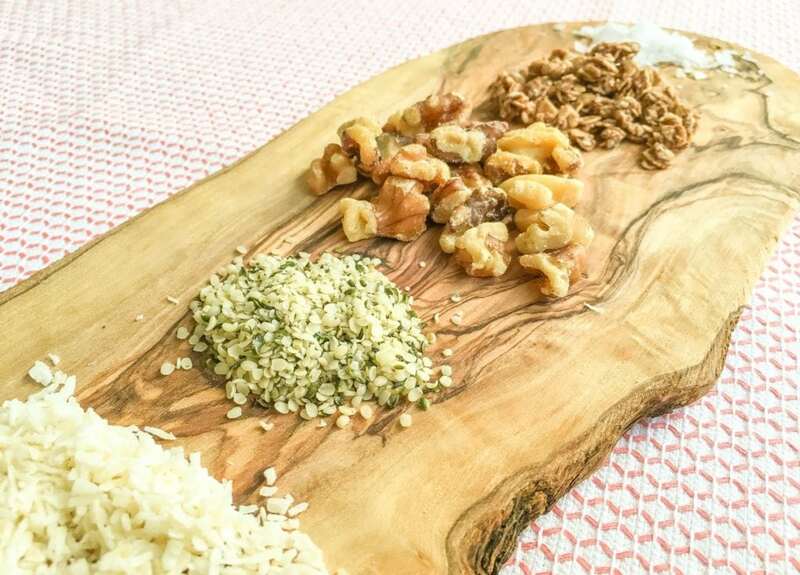 Now imagine adding those diverse protein sources to the foods and recipes that you love making. It’s a win-win! I’m a lazy cook. 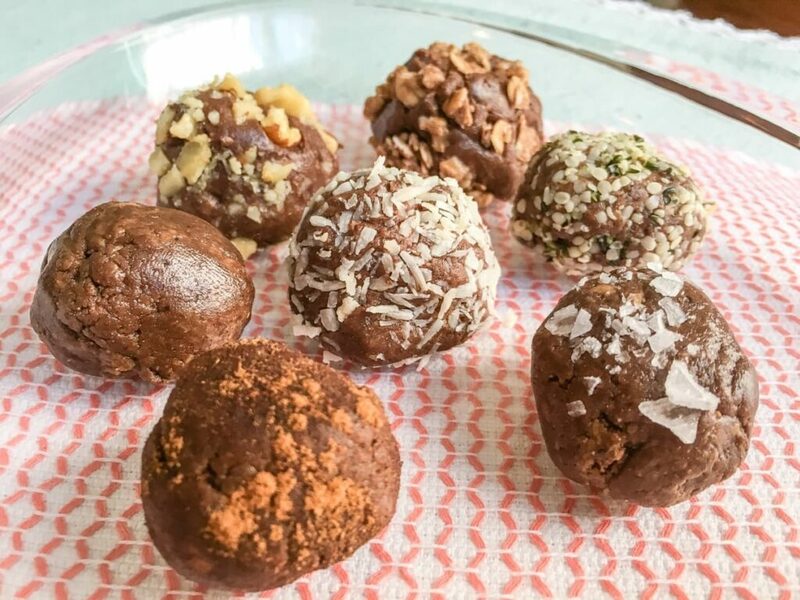 So this 3-ingredient no bake protein ball recipe is perfect for me! 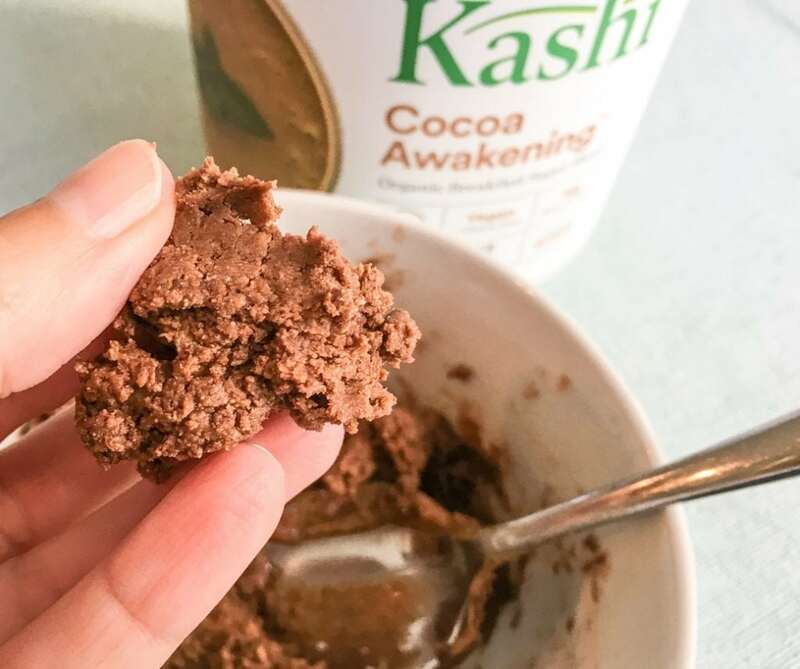 These chocolate no bake protein balls were so good that I couldn’t help eating one in the middle of my recipe. Yikes! 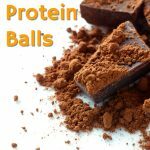 The protein ball recipe makes about 8 protein balls (1 inch balls), but I only show seven. I do crave chocolate, don’t ya know?!?……. Blend all ingredients together until combined. 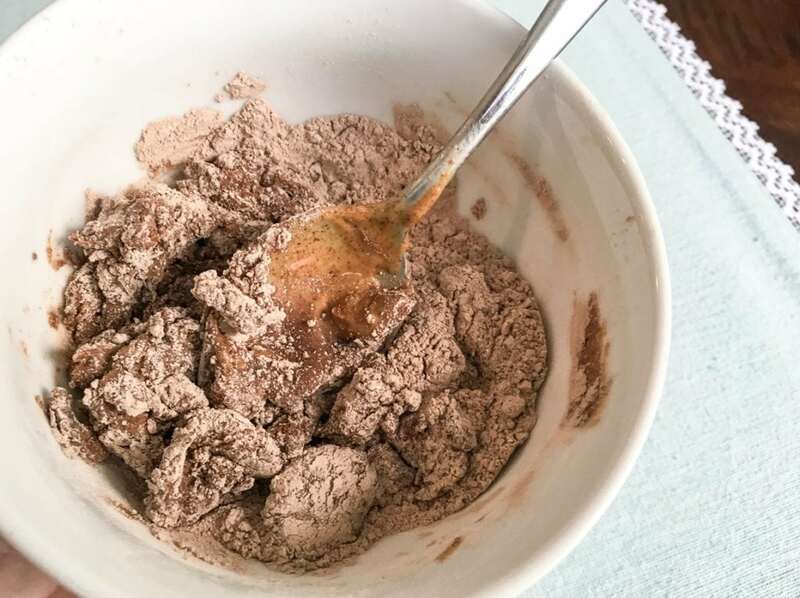 Roll approximately one teaspoon of protein ball with protein powder mixture together in your palms to make a 1-inch ball. Roll in toppings if you’d like. 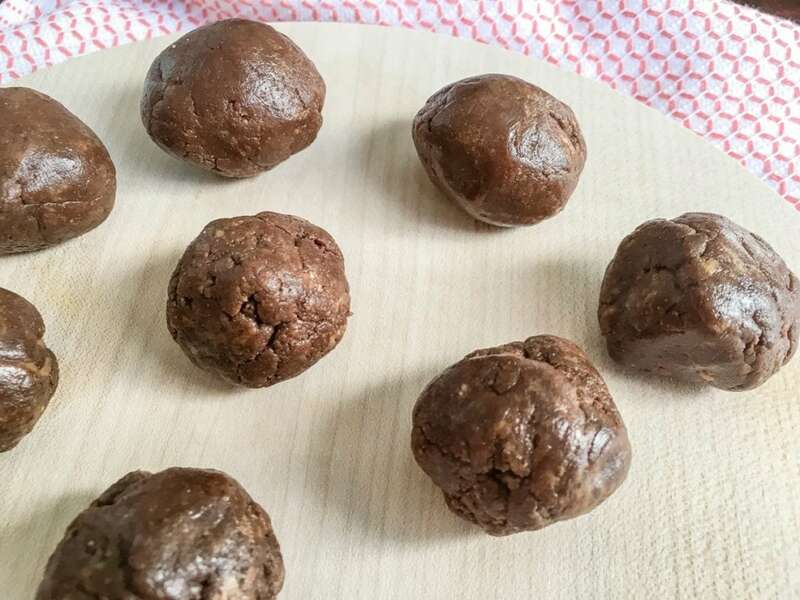 Refrigerate unused chocolate protein balls to eat later. It’s perfect to make a few days worth and refrigerate for a quick breakfast. 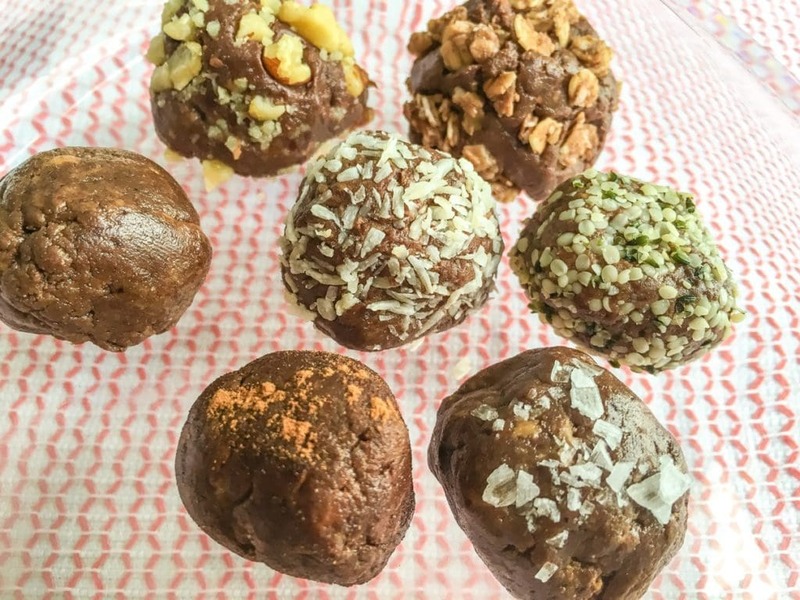 Pin this no bake protein ball recipe for later and be sure to share on your boards! You don’t want to miss out on this yummy treat! Want more no bake recipe ideas? Check out these no bake snacks perfect for kids using breakfast cereal! And also check out our collection of 40 healthy instant pot recipes. These look really good. I love anything chocolate too!! Thanks so much! Yes, each truffle was a different taste sensation. It was like choosing chocolates out of a candy box! do you no how many calories or fat ? No, I don’t. It’s going to depend on what kind of nut butter and sweetener you use, too. Yum Yum! These look amazing!